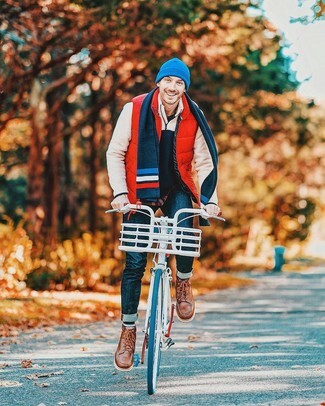 If you're a fan of comfort dressing when it comes to fashion, you'll love this stylish combination of a red quilted gilet and a navy scarf. Take a classic approach with the footwear and go for a pair of brown leather work boots. 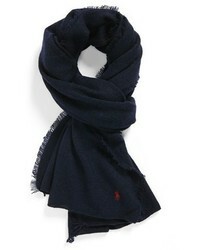 If you prefer practicality dressing when it comes to your personal style, you'll love this stylish pairing of a navy field jacket and a Polo Ralph Lauren cashmere blend scarf. 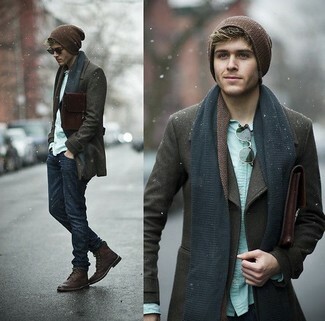 Up the cool of your getup by complementing it with dark brown suede desert boots. 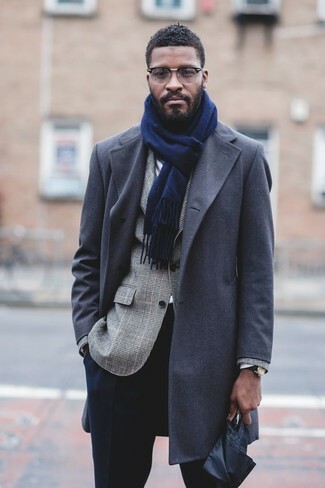 If you prefer relaxed dressing when it comes to your personal style, you'll love this knockout pairing of a dark brown pea coat and a Polo Ralph Lauren cashmere blend scarf. Rocking a pair of burgundy leather casual boots is a simple way to add some flair to your outfit. 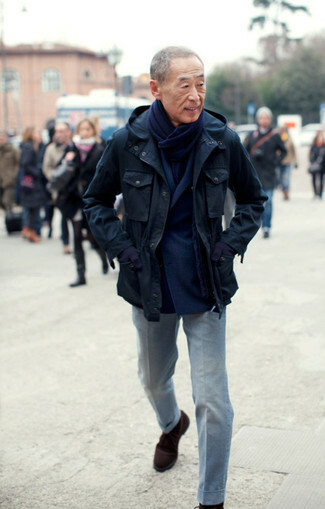 If you prefer functionality dressing when it comes to fashion, you'll love this knockout combination of an olive field jacket and a Polo Ralph Lauren cashmere blend scarf from Nordstrom. Bring instant glamour to your look with brown leather derby shoes. 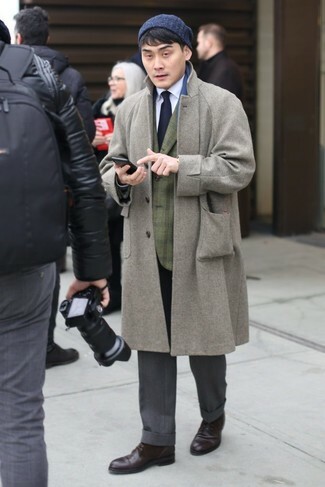 Try pairing a grey overcoat with a Polo Ralph Lauren cashmere blend scarf from Nordstrom if you're on a mission for an outfit idea for when you want to look casually cool. Wearing a pair of dark brown leather derby shoes is a simple way to add some flair to your look. 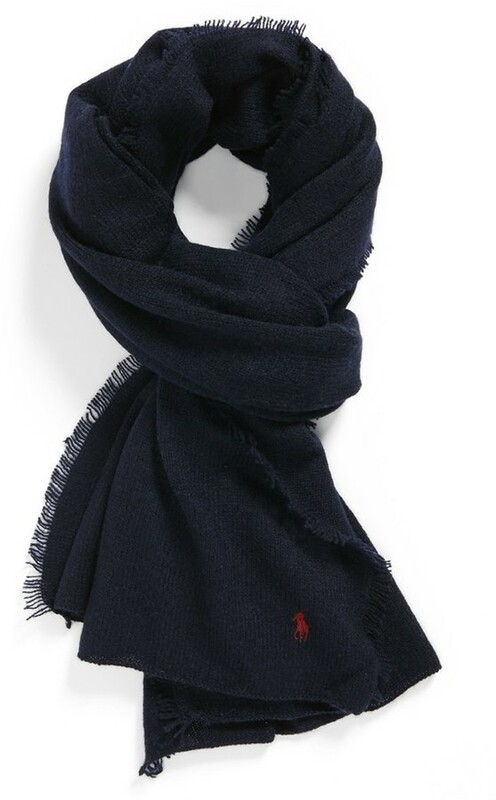 If you prefer comfort dressing when it comes to your personal style, you'll love this easy pairing of a navy overcoat and a Polo Ralph Lauren cashmere blend scarf from Nordstrom. 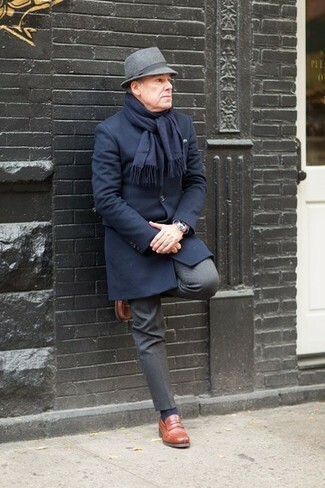 If you're all about relaxed dressing when it comes to your personal style, you'll love this stylish pairing of a navy overcoat and a Polo Ralph Lauren cashmere blend scarf. Play down the casualness of your look with black suede derby shoes. 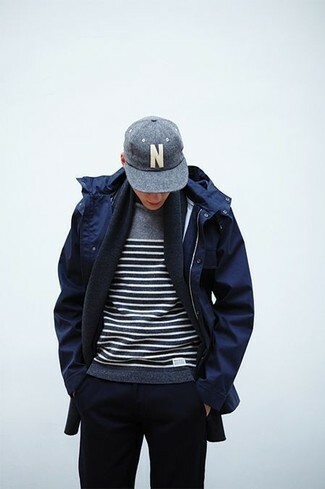 If you're a fan of functionality dressing when it comes to your personal style, you'll love this on-trend pairing of a navy parka and a navy scarf. 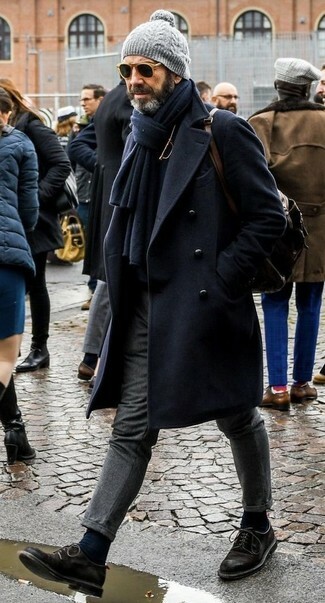 If you prefer functionality dressing when it comes to fashion, you'll love this killer pairing of a navy overcoat and a Polo Ralph Lauren cashmere blend scarf from Nordstrom. Channel your inner Ryan Gosling and throw in a pair of brown leather loafers to class up your ensemble.